My conversation with Andy Barney about his player development methods was very well received last week. I hope to have him back on the show in the future. Be sure to check out Episode 65 if you missed it. Today I give you a tour of our new WCC Training Center. We’ve been working on it for six months. The goal is to combine all of our coaching resources in one place to make it easier for you to search for and find exercises to plan your next training session. 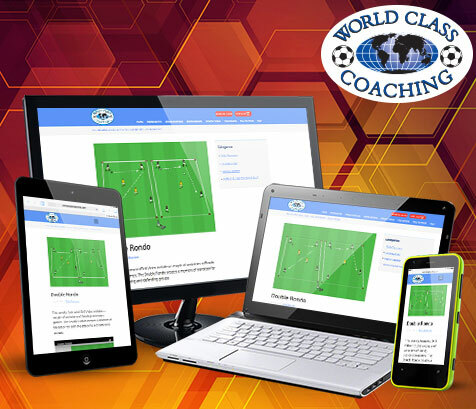 I don’t normally talk much about our web site but this is such a great new resource for coaches that I thought it was important to let you know about it. You can check out everything that is available and your membership options Right Here. The show notes below include some of the information that is usually only available to Pro and Elite Members. Check it out for a behind-the-scenes look at what those memberships have to offer. Next week I’ll be in Florida observing a camp that is being presented by Michel Bruninckx, the Belgian who developed CogiTraining. I’ll have a short episode next week with some examples of this type of training but I’ll return the following week with all of the details.